Call Rob Corley @ 314-348-2982 with any questions. 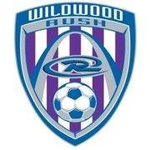 09 Girls Wildwood Rush is a D1/Champ level team and is based in Wildwood/Eureka area and has a couple spots open for the Fall 2018 season. Tryouts will be Wednesday 5/23 and 5/30 from 7-8 pm at Eureka High School. If your club or independent team is not found on this “Tryout Listings” page, please complete the form on the Submit Tryout Info Page to be included. Tryout listings will be updated throughout each season as they expire; club information will remain open. Please see below for the exact dates that tryouts for the 2018/19 seasonal year will begin in your area. If you aren’t sure what district you’re in, please click here. All TRYOUTS begin Sunday June 10th. *OPEN CONTACT PERIOD: Our district will again observe an open contact period Sunday May 27th through the start of tryouts. During this time, a player may attend an organized activity with another team or club WITHOUT the need of any permissions from a current club/team/coach. *NOTE* OFFERS OF ROSTER PLACEMENT ARE NOT ALLOWED DURING THE OPEN CONTACT PERIOD!!!! 3) The parent or legal guardian must sign a player agreement for them to be held responsible for their debts to club or team. For more information on individual club tryout dates and times, select a club from the club list. NOTICE: Regarding Kick-Arounds, id Camps, Academy Sessions or whatever other crazy name that people make up for any session held prior to your District’s official tryout date. As of August 1st, 2017 the MYSA Board adopted a change that allowed participation in organized activities within other clubs. This allows advertising of these sessions to the general public and for a player to attend and be given general information about the club and its programming. This is done without the need of a signed Permission To Participate document.